 Log In needed Thomas & Friends Wooden Track for Sale! 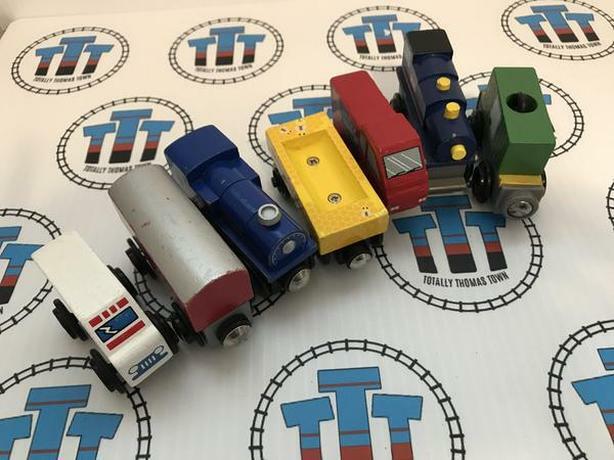 Totally Thomas Town is a small business located in British Columbia which provides used and new Thomas the Tank Engine items at affordable and competitive prices! Find rare and discontinued Thomas the Train and Thomas & Friends items on our website! Boco, James, New Wood, Hiro, Lady, Rosie, Flying Scottsman are all items that can be found on our website but HURRY our stock is constantly changing and trains, track, stations and destinations are scooped up QUICKLY!